While parked in Benson, AZ, we were within an easy day trip to both Bisbee and Tombstone. Bisbee was founded in 1880 as a mining town. It is located in the Mule Mountains where mining for copper, gold and silver was very successful. We were told that there are some 2,600 miles of tunnels underneath the town. We toured the Copper Queen Mine which has 140 miles of tunnels. We were given a look at how the mining tools and techniques evolved over the years. In the early years it was dangerous and life shortening work. Due to the advent of open pit mining, it became less economically feasible to continue underground mining leading to the closure of Copper Queen in 1975. 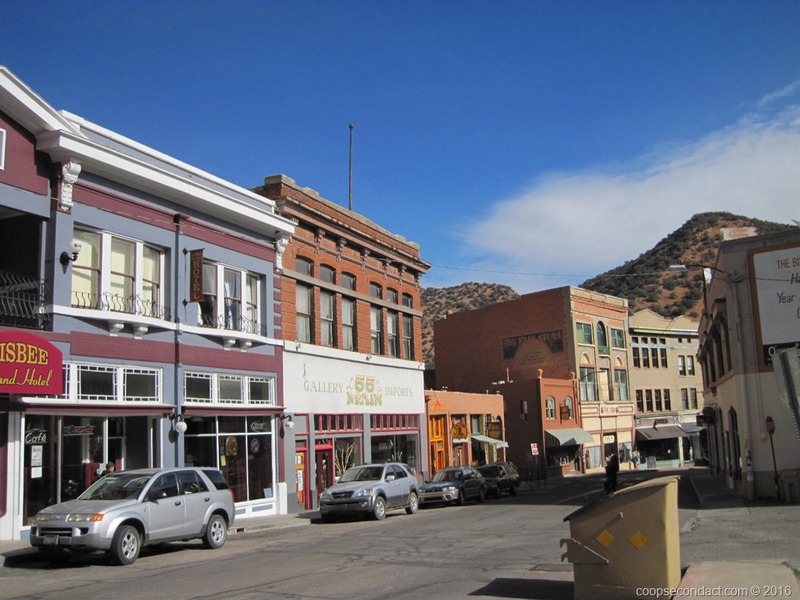 In recent years Bisbee has become something of an artsy town popular for weekend visits with people from Phoenix and Tucson. Due to its elevation it can offer a welcome respite from the summer heat. 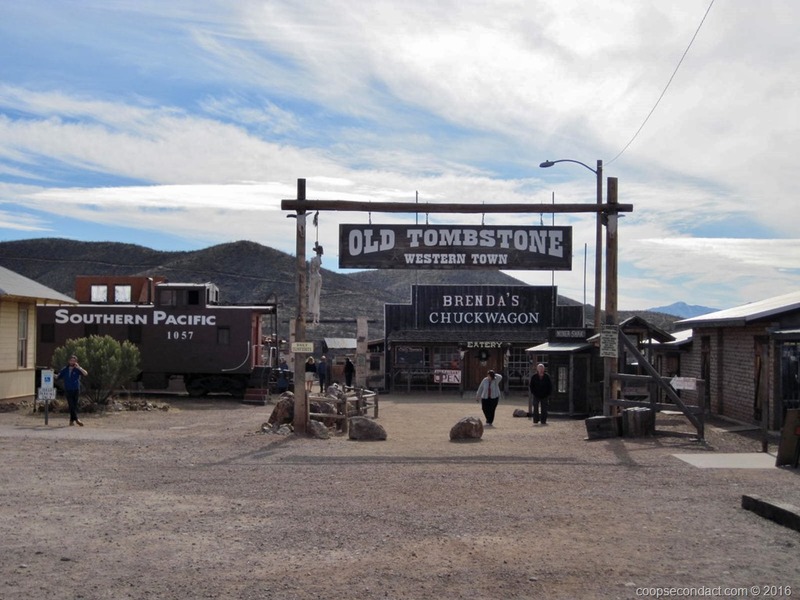 Tombstone is the well known frontier boomtown founded in 1879. The town prospered between 1877 and 1890 during which time the town’s mines produced substantial amounts of silver bullion. And, of course, the town is known for the shoot out known as the gunfight at OK Corral which occurred in 1881. The shoot out was the result of personal, family and political conflicts. Today, Tombstone is most known as a tourist attraction with living, working examples of early frontier life. There are several reenactments of early Tombstone events including, of course, the gunfight at OK Corral.